If you have been charged with carrying a concealed weapon without an license, you need to hire an experienced criminal defense attorney to discuss the facts of your case and your options. Contact Attorney Adam Burke of Burke, Meis & Associates today for your free consultation at (614) 280-9122. The state of Ohio allows its citizens to carry firearms with them, as long as they are concealed and as long as they have a license to carry them. It’s considered a felony level offense (or at least a misdemeanor, depending on the circumstances) if you carry a weapon or a dangerous ordinance concealed about your person without a license. Even if you happen to have a license to carry the weapon, you must declare your weapon if you are stopped by a law enforcement officer. You must also follow certain procedures at such times, or you may be charged with a felony level offense. Facing carrying concealed weapons felony charges in Ohio is not a difficult task with the help of a lawyer. As long as no one got hurt, you will not be charged with anything higher than a felony of the 3rd degree. Most of the time, you may be charged with a misdemeanor or a 5th or a 4th degree felony charge. As a minor misdemeanor, you just have to pay a small fine ($150). For a 5th degree felony, you may have to spend 6-12 months in prison, and pay up to $2,500 in fines. For a 4th degree felony, you may have to spend 6-18 months in prison, and pay up to $5,000 in fines. For a 3rd degree felony, you will have to spend 1 to 5 years in prison, and pay up to $10,000 in fines. If you have been arrested for carrying a concealed weapon without a license, it is important to know your rights and discuss the possible defenses to your charge with an attorney. 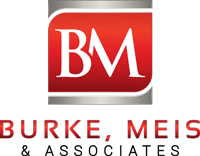 Contact Burke, Meis & Associates today for your free consultation at (614) 280-9122.